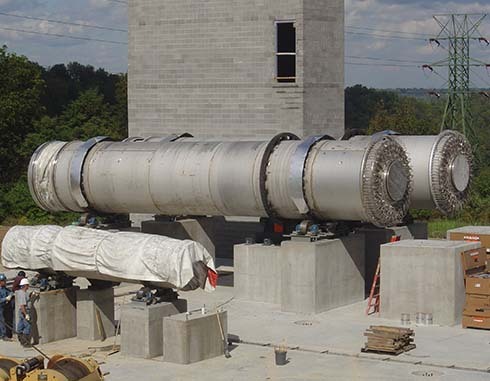 A rotary direct fired dryer built by Louisville Dryer Company provides a cost-effective and proven method to dry a variety of products. If your product is not affected by radiated heat from the burner flame or the products of combustion, then a direct fired unit will provide the maximum efficiency through the full utilization of all three heat transfer methods: radiant, convection, and conduction. 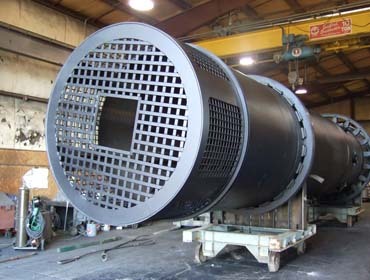 Here is a great example of a Direct Fired Dryer project: Louisville Dryer rebuilt a previously used dryer for a large recycling company. 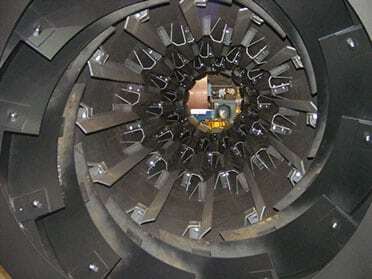 As part of the reconditioning the dryer was outfitted with a completely new flighting system along with new housings and reorientating the burner from counter-current to co-current. This proved to be a very successful project as production was increased while at the same time decreasing fuel usage. Direct heat dryers typically work best when the burner system can operate with a minimal amount of excess air or near stoichiometric balance of the gas and air. This allows the dryer to minimize the air required to carry the thermal energy. With heat-sensitive materials such as biomass and organic products, the approach temperature of the gas is limited to the temperature the material can withstand without either combusting inside the dryer or giving off excessive VOC from oils being driven off. This is where the steam tube dryer technology is the best fit. For practicality and in order to illustrate the difference in processing organic and biomass products, we chose to illustrate one specific process, which is fairly evenly split between direct heat and steam tube dryer technology: Dried Distillers Grain with Solubles (DDGS). Other material processes can be compared with this model.